At work, I sometimes have to edit MS Word documents (other members of the team use Word). Normally LibreOffice does the job pretty well, but I have come across occasional issues with tracked changes and big tables/graphs when the document is reopened in Word (mostly when using Microsoft’s OOXML formats). As a result, when working on Word documents for work that I need to share back, I’ve tended to use Word 2007 running in a virtual (VirtualBox) Windows XP environment. That’s all fine (and of course, it works great) but there is still the hassle of firing up the virtual machine and the memory hit (I’m often using quite large datasets in R on Linux simultaneously and losing some memory to Windows can have a noticeable effect). I’m also squeamish about letting Windows XP access my working directory for the files on Linux directly, so I tend to have to copy them to a special folder that I share with the virtualised Windows XP. I was setting up a new laptop today and the above issues, together with the pain of either doing a Windows XP install or the (lesser) pain of copying the virtual disk from my other machine, persuaded me to think about alternatives. I tried Wine for runningn MS Office back in the day (I guess at that point it was Office XP or maybe 2003) with limited success, but I checked the Wine App database and found that reasonable success had been had with Word 2007. Following the specific (slightly outdated) Fedora guidance provided by Fclose I was soon up and running. Word 2007 seems to work flawlessly so far, so maybe I’ll have no more need for even a virtualised Windows instance at work. 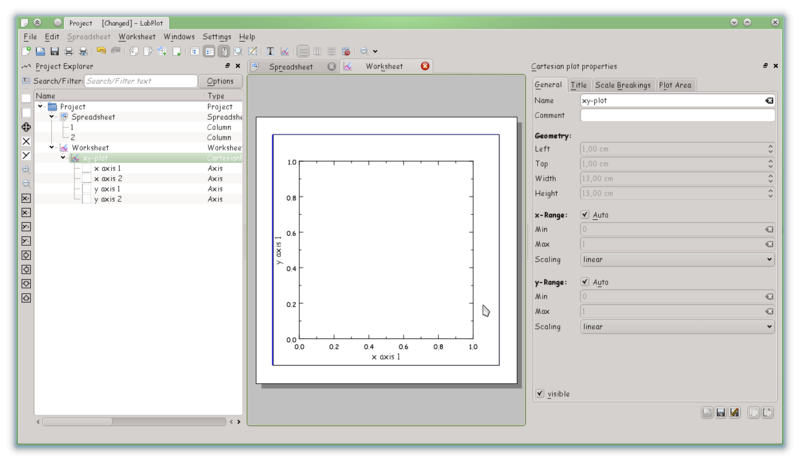 Some years back, I wrote about a collaboration between KDE’s LabPlot and the Qt-based SciDAVis projects. Together, they were working on the next generation of free plotting software and were engaging in a backend overhaul before presenting results in a new user interface. A few weeks back, Alexander Semke, one of the lead developers of LabPlot, got in touch to tell me that they would soon be reaching a beta release of LabPlot 2. While there is still work to be done, this should be a big step on the route towards an up to date version of LabPlot that will be usable to scientists from day to day. Of course, I downloaded the source and decided to give (what will become) LabPlot 2 a go. 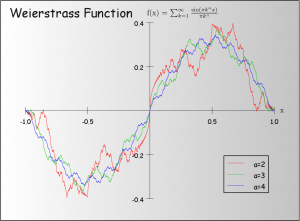 LabPlot 2 currently enables creation of attractive plots, includin LaTeX equations. LabPlot uses a project metaphor that enables the user to work with multiple spreadsheets of data and plots of those data, experimenting or producing slightly different views of the same data. Conveniently, if you already have your data in a form ready for plotting, you can specify the file source directly from LabPlot and skip opening the data as a spreadsheet (very useful if the data source is large as processing it into a spreadsheet can be slow at present). Plots created directly from an external file in this way will get automatically updated if the external file changes. So, if you have run a simulation and got some results, you can plot them directly in LabPlot, spot an error or something to change, re-run your external simulation and have the plot within LabPlot update automatically for the new data. Related to this feature, it is possible to save only a link to the external data file within your LabPlot project, rather than all the data, saving lots of space for large datasets. You can arrange windows conveniently in tabbed interface. It is also possible to generate your data from within LabPlot by creating a new spreadsheet and entering values – useful if you want to quickly visualise a few data points. In this way, you could also easily remove known bad data points from within LabPlot itself. 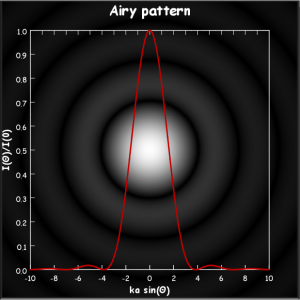 LabPlot can produce various x-y plots at present with all the normal features you would expect (plot colours, legends, axis adjustments and labelling). 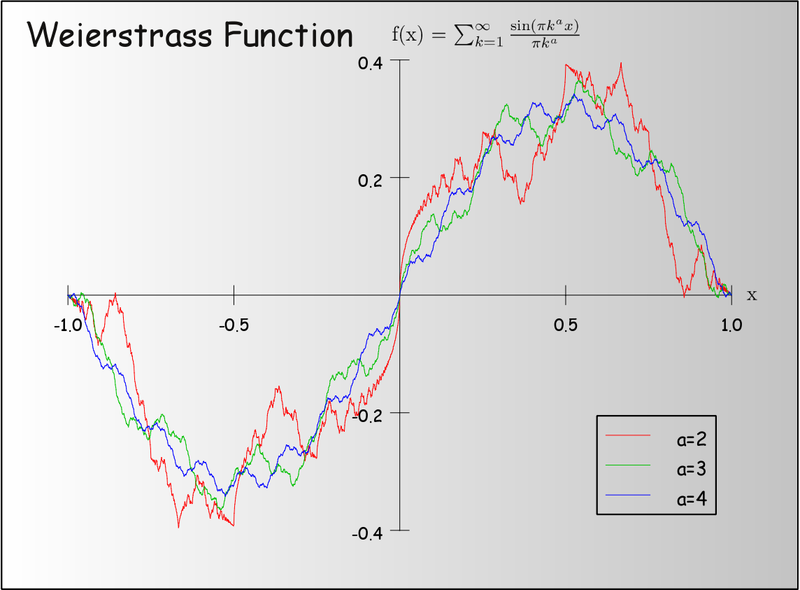 It can also incorporate LaTeX equations, convenient for anyone already familiar with the typesetting language. Plots can be exported to PDF, EPS, SVG or PNG formats, offering a range of high-quality options. 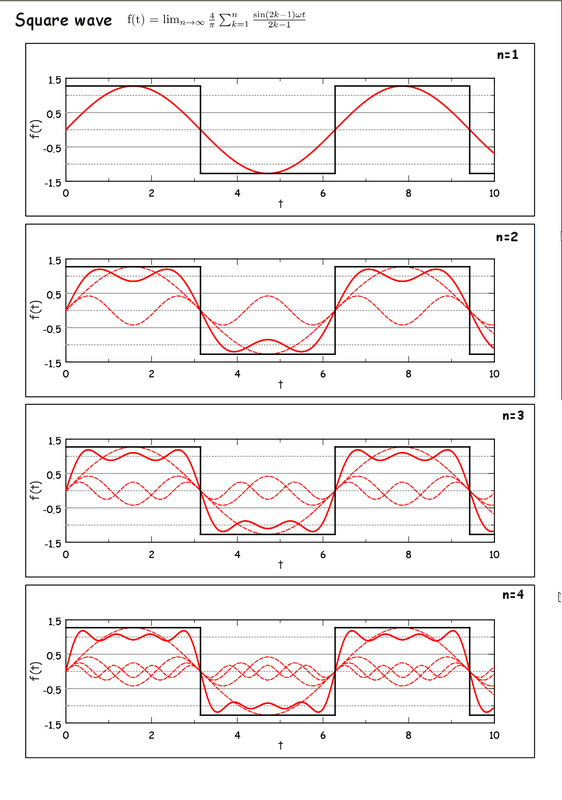 You can, of course, stack multiple plots in the horizontal or vertical directions too. 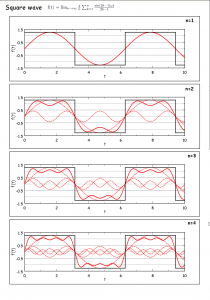 Plots can be stacked vertically or horizontally within one image. Spreadsheets and plots can be arranged as separate sub-windows within the LabPlot main window or as tabs within the interface, making it easy to keep track of different datasets and plots. LabPlot 2 is still in its pre-release phase and has some stability issues – it is not uncommon to come across a crash during use. However, the new interface is working and it is possible to produce good quality plots quickly and easily. The project shows a lot of promise and now would be an excellent time to join the effort. The LabPlot team is looking for coders, of course, but also needs help in many other areas. Simply testing out the pre-releases and submitting bug reports will be very helpful. The developers need to know in which directions to concentrate development. What should be the priorities? Fast reading of real-time data? Add more features for editing 2D-plots? Add scripting capabilities? Add data analisis features like fitting, signal processing? 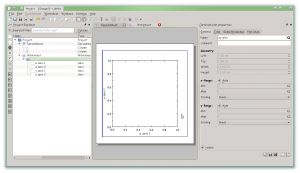 LabPlot is free software. That means, whether a coder or not, you can help to shape its development and ensure that it matches your needs, now and in the future. The initial ALERT project is coming to an end, with some final testing from the end users, including by Dario and me for KDE. Software has been available for download for some time from the ALERT website and a virtual machine installation of ALERT for easy testing is nearing completion. We are currently preparing the final documents for submission in the ALERT project and looking forward to the final review meeting in May. After that, it will be up to the project partners to decide how, individually, or in combination, to continue ALERT. In many ways, this is just the start of the project. The initial funding has enabled the research to be done to put foundations in place and produce a working system. The next steps are polishing, making ALERT easier to deploy and working on integrations with existing systems. Challenges remain, for sure. ALERT is quite complex and can take some time to install (it’s easier when you have done it a few times) but recent work on packages, an installer and a virtual machine with ALERT preinstalled promise to make it ever easier to deploy and test ALERT. There is also some duplication between ALERT and existing infrastructure such as Bugzilla. In the future, we will look at ways to either integrate parts of the ALERT functionality into Bugzilla or vice versa. Project partners Libresoft have already produced some demos of a system that can integrate the Bugzilla interface with duplicate detection and developer recommendations from ALERT. The challenges over the coming months will be to maintain the momentum in the project, solve the remaining issues and get the software adopted in free software communities. As always, progress in ALERT can be followed on Twitter.